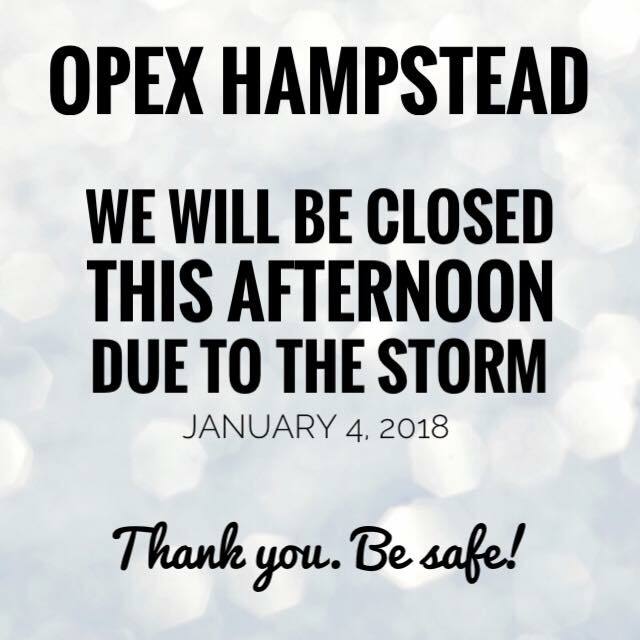 OPEX Hampstead will be CLOSED for the afternoon, Thursday 1/4/18, due to the storm. Please use caution and be safe if you must be out on the roads. Stay tuned for updates regarding the morning schedule.